Prince famously sang about a raspberry beret. John Wayne made a movie about the Green Berets. And the beatnik poets of the 1950s and 1960s made black berets comme il faut along with black turtlenecks and horn-rimmed glasses. Yes, the beret has long held a place in the annals of fashion history. 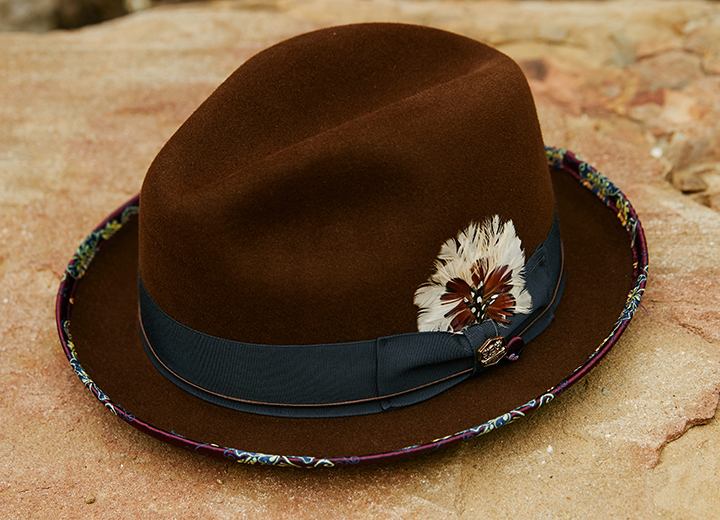 Yet for all its worldwide fame, this style of hat is most associated with France, the place where these disc-shaped chapeaus were first mass-produced in 1810. We’ll dive into the beret’s rich history and show you how to form a beret in eight easy steps below. Not surprisingly, beret is a French word that describes the soft, round, flat hat that is noted for not having a brim. Typically made of wool, crocheted cotton, or acrylic, berets sometimes have an inner drawstring that allows the hat to be tightened. Universally appealing for both men and women, berets are usually worn snugly, often at an angle, but there really is no wrong way to wear one. Continuing the beatnik cliché of yesteryear, the beret continues to be a symbol of the boho-chic artist set. Renowned 17th century Dutch painter Rembrandt wore a beret in many of his self-portraits and more than two centuries later, Spanish artist Pablo Picasso sported the beret. 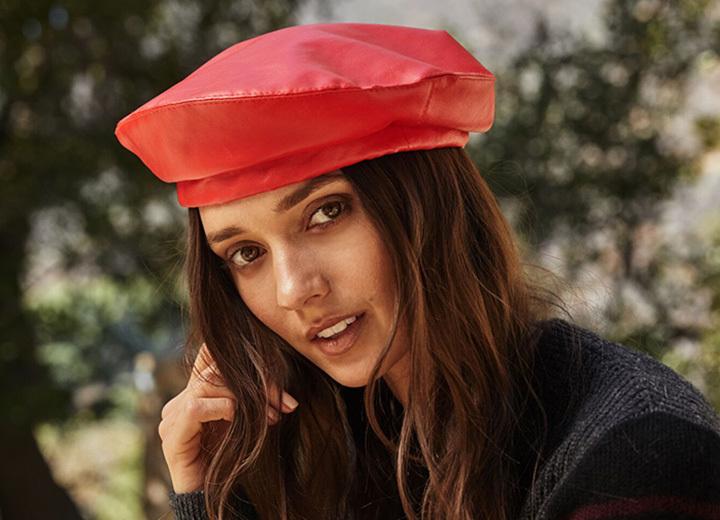 Fast forward to today and celebrities continue to keep this tiny topper in vogue — Alicia Silverstone immortalized it in the high-school comedy "Clueless" while Cara Delevingne, Rihanna, and Salma Hayek are just a few female stars who favor the beret look. 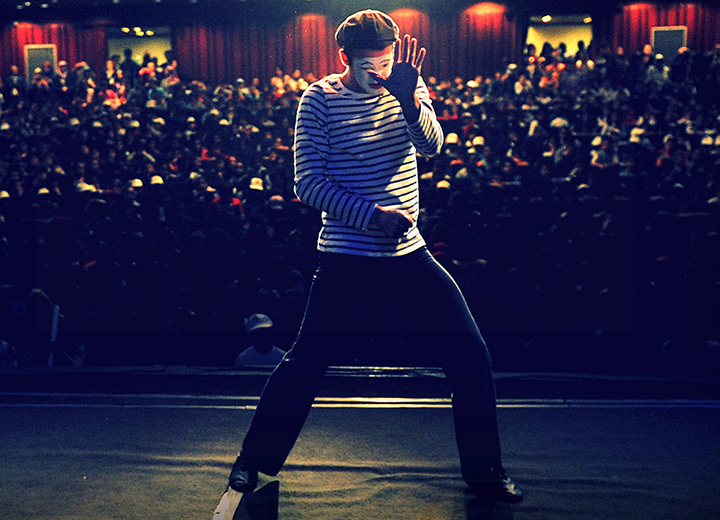 And let's not forget every street-performing mime around the world whose outfit would not be complete without a beret. Beyond the joie de vivre that it symbolizes, the beret is associated with armed forces around the world. That's because it's worn as part of military clothing for many countries ranging from Canada and the United States to Argentina, England, and Italy. 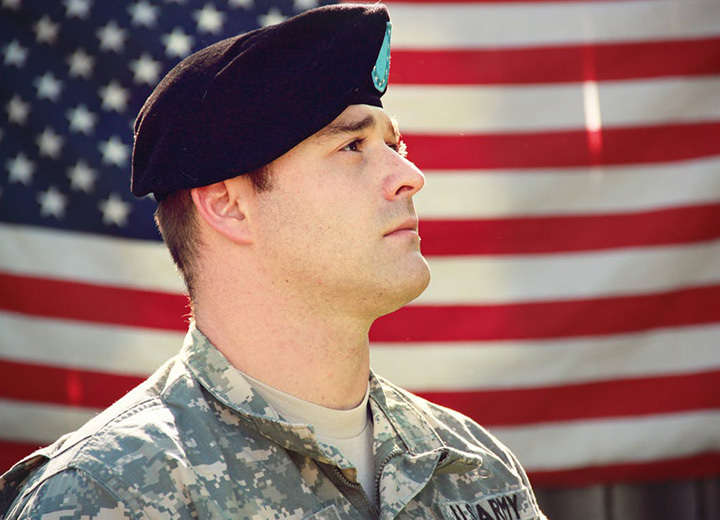 For decades, members of the United States Army were known for wearing black berets. In 2011 the headwear was replaced with the patrol cap, which is more akin to a baseball hat. Since then, U.S. Army Rangers wear tan berets. The elite part of the United States Army Special Forces is actually named the Green Berets while the U.S. Army's Airborne troops wear maroon berets. Meanwhile the Air Force Security Forces wear a blue beret. Now that you have some context about the beret, the question remains: How do you wear a beret? If you are simply wearing one for fun, it's really a matter of personal preference. Wear it tilted to one side over your left eye or right eye. Wear it centered squarely on your head. Wear it backwards. Or fold the extra material, puff it up, or pinch it down in any way you like. Just keep in mind to consider an appropriate hairstyle that won't interfere with the fit. 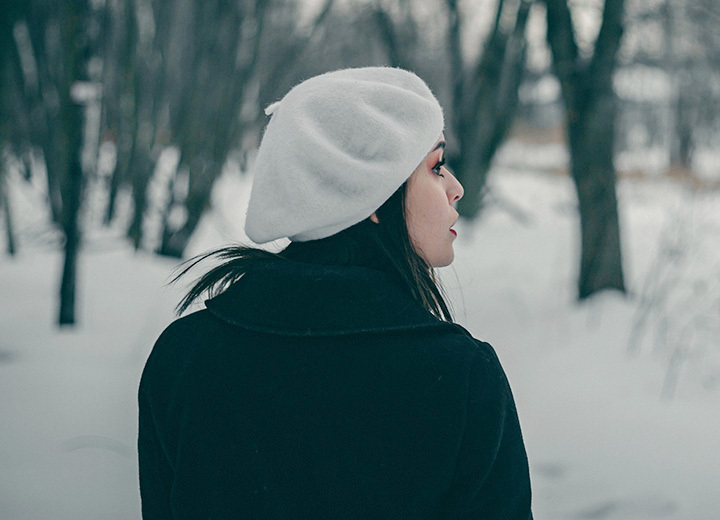 High ponytails or top-knots aren't a good idea when wearing a beret. 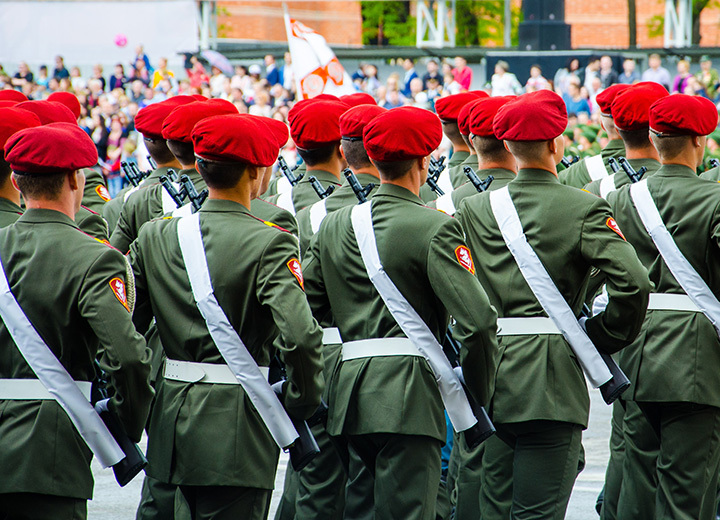 Now, if you are wearing a military beret as part of a uniform or for a more specific occasion that has a dress code, then you may need to form it. That is, you need to shape your beret. If you don't have a pre-shaped beret, follow these steps to form one that will look and feel the way you want. All you need is a razor, a pair of scissors, some warm water, and a little patience. The entire process is quite easy. 1. Adjust the inner drawstring. 2. Cut the tag and remove the lining. 3. Shave the beret with a disposable razor. Starting at the center, gently shave outward. Continue doing this until you have a smooth surface. Exercise caution and do not shave the same spot multiple times as this can thin out the fabric to the point of creating a hole. Be sure to also shave the inside of the beret. Feel free to change the razor if it becomes dull. 4. Shape the beret with water. 5. Lightly wring out any excess water. 6. Fold any extra material. Depending on the requirements of your organization, you should fold over excess material towards the right side of your head, pulling it down towards your right ear. 7. Air dry the beret on your head. 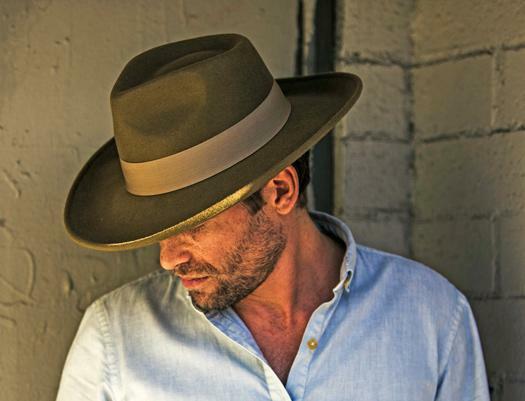 Wearing the hat as it dries is the best chance for it to conform to the exact size and shape of your head. The beret might resist holding the new shape at first, so you might need to hold down the fold with your hand until it stays put. Wear it for at least a few hours if possible. You can let it finish drying on a small ball or other round form similar to your head size and shape. If at first you don't succeed, try, try again. Although it's not an arduous task, you might need to shape your beret a few times before it finally sticks. 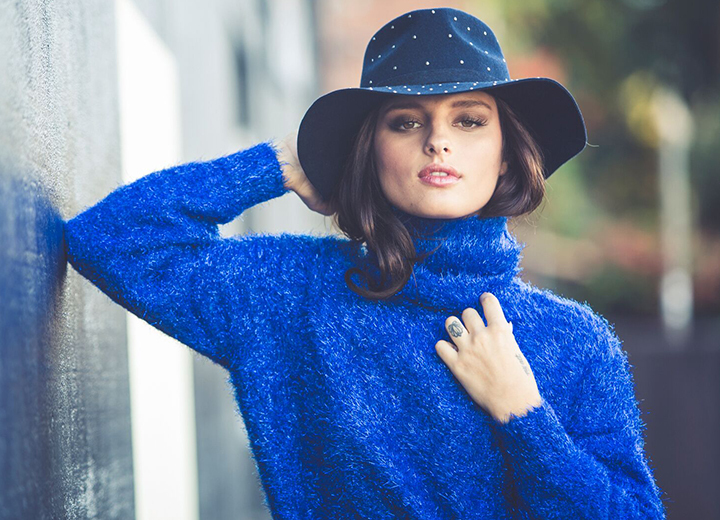 Whether you're forming a beret as part of a military uniform or simply wearing one as a smart fashion statement, the options are endless when it comes to this wonderfully versatile round hat. But why stop at berets? 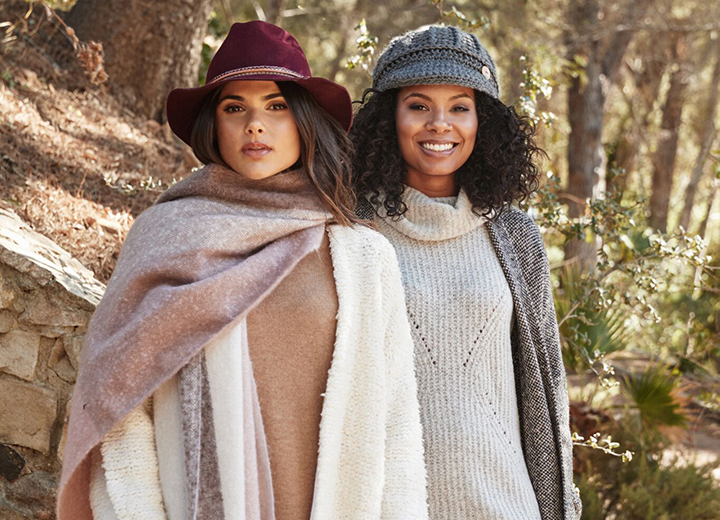 Find similar hat styles with our guide on the best ivy caps as well as a selection of cozy knit hats.